I was perusing once again through a book I'd bought a while back, Mr. Punch's Book of Arms by E.T. Reed, published in 1894. For those of you familiar with Punch in England, you'll already have figured out that it is humor, or at least intended to be such. (For others who may not be so familiar with Mr. Punch, one of the primary characters in Punch and Judy shows, please check out the article at http://en.wikipedia.org/wiki/Punch_and_Judy for more on the character.) Punch was also a weekly humor magazine from 1841 to 1992, and this book certainly follows in that vein. 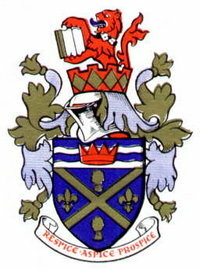 These are the arms of William John Mercer, which arms mark him as one of the Mercers of Huntingtower, county Perth, as noted in Burke's General Armory. The arms are blazoned there as: Or on a fess between three crosses patty gules in chief and a mullet azure in base, as many [that is, three] bezants, a canton gules charged with a boar's head couped or. Crest: The head and neck of a stork, holding in his beak a serpent writhing proper. Mottoes (over the crest): Ye great pule [I'm uncertain as to the meaning. The OED cites pule as "whine," as an obsolete term for "pillow," and as a Scottish variant of "pool;" but "the great pool" doesn't make a lot of sense to me as a motto. Still, what do I know? 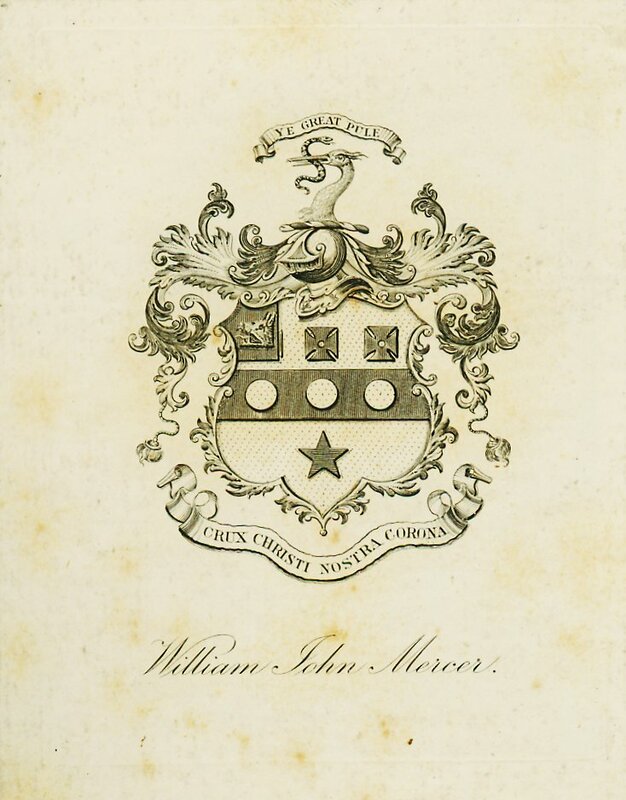 And the motto of one of the other Mercers in Burke is a similar "the grit pool"], (under the shield): Crux christi nostra corona (the cross of Christ is our crown). I find it fascinating that the the torse, which originally hid the attachments that held the crest to the helm, has become here a thing unto itself, delicately balanced atop the helm and liable to blow off at the slightest breeze. 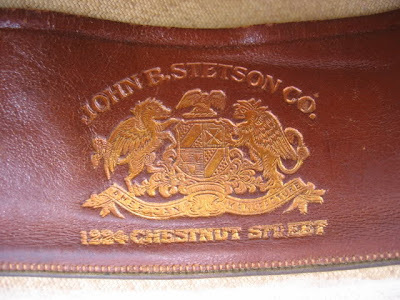 There's a recent (March 9) post over on the blog Austen Only that discusses the Austen coat of arms, crest, and motto. 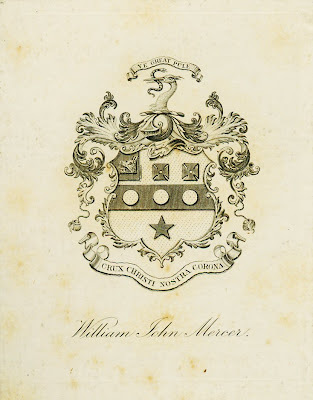 Included with the post are images of a wax impression of the crest, a bookplate of Jane Austen's father George with the crest on it, three pictures (including a detail shot) showing an intaglio seal of the arms, crest and motto, as well as a color photo of the Austen arms from a memorial to James Austen's first wife Anne in the Steventon parish church. 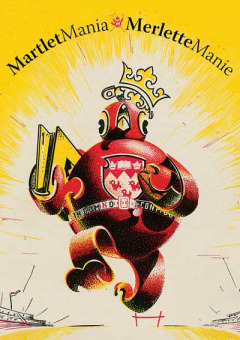 A recent article entitled "Looking back on a myriad of Martles" in the McGill Reporter, "the official news source of McGill University" in Montreal, Quebec, Canada, talks about the history, and various renditions, of the University's coat of arms, which features three martlets (an heraldic swallow which has no feet at the ends of its legs). How great to see an institution not only using, but celebrating, their coat of arms! 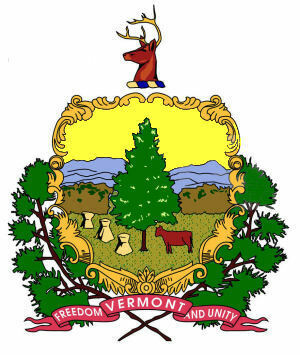 It's not really a great coat of arms -- it's landscape on a shield -- but it's what the State of Vermont uses and has used for a long time (at least since 1821) and who am I to tell them that it's not really good heraldry? 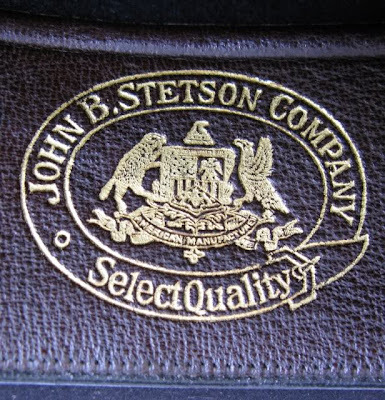 Anyway, here's a few images of the two different heraldic logos that Stetson has used over the years in their hats (on the hat band or the liner) and on their hat boxes. The first one here is also the oldest, and is of a different design than the later ones. It’s time to do something that I try not to do very often, and that is to make a "shameless plug" and talk about one of the books I have written and published. 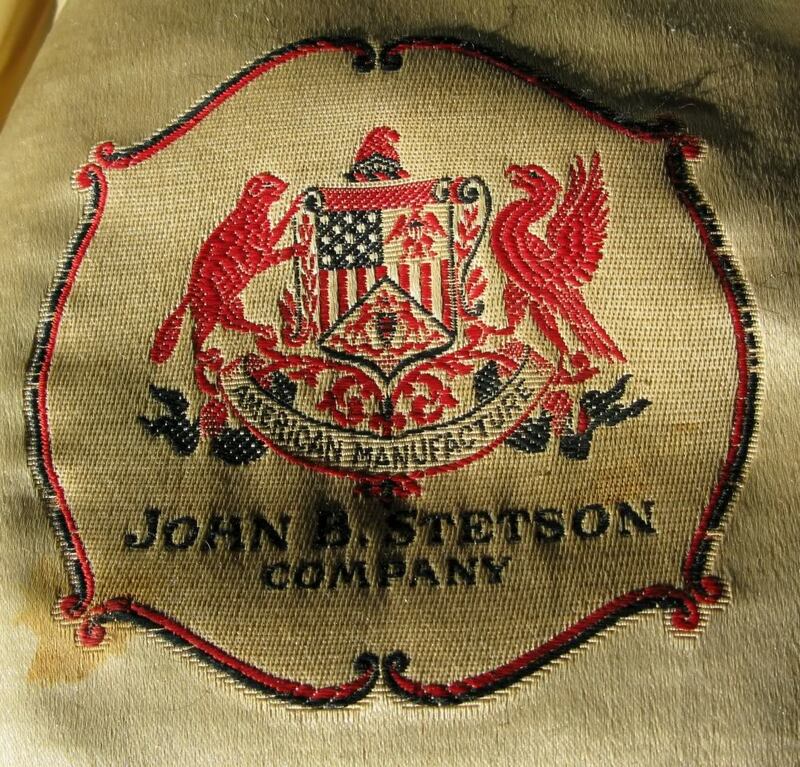 Specifically, I’d like to talk about The Gore Roll: An Early American Roll of Arms. For those of you who may never have heard of it, the Gore roll of arms was created in Boston, Massachusetts in the mid-18th Century. A paper describing and giving some of the history of the Gore roll which I presented at the International Congress of Genealogical and Heraldic Sciences held in Bruges, Belgium in 2004 may be found on-line at http://www.appletonstudios.com/Congress2004DBA.pdf. Here’s a couple of photographs from the time I was able to go to the New England Historic Genealogical Society in Boston and see the Gore roll (and the copy made of it by Isaac Child in the 1840s). 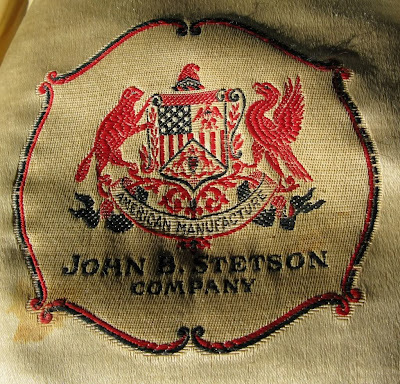 The hardbound volume I wrote contains the most complete history and analysis of this unique American roll of arms ever published. It includes the complete review by William A. Whitmore in 1865 (errors and all) and the complete published review by Dr. Harold Bowditch of the Committee on Heraldry of the New England Historic Genealogical Society in the 1930s, as well as additional research I did, along with line drawings of all of the coats of arms in the roll and illustrations and photographs of many of the arms in the roll from other sources. I still have two dozen copies of the first printing of this book available at the current price of US$50. Once those are gone, if I do a second printing the price is going to increase significantly, since costs for binding alone have more than doubled since the first printing. If you think you might be interested in The Gore Roll, more information about it can be found on-line at: http://www.appletonstudios.com/BooksandGames.htm. If you should have any questions or comments about the Gore roll of arms, its history, or my book on it, feel free to either email me or leave a comment here on the blog and I’ll get back to you. Heraldry (and Heraldic Stained Glass) in the News! 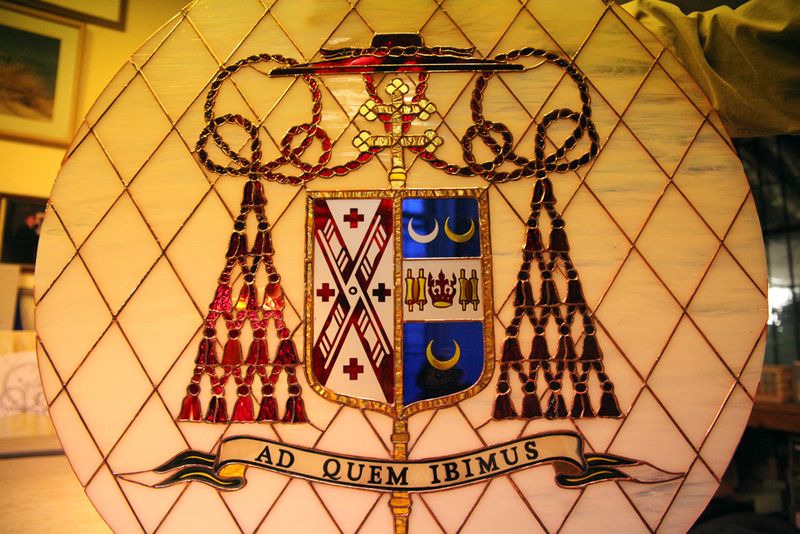 Over on the website of radio station WNYC in New York City there's a nice article about Sunlites Stained Glass in Rockaway Park, New York, and the stained glass panel that the owner there recently did for the installation of Cardinal Timothy Dolan at St. Patrick's Cathedral in NYC. As you can see, it's a beautiful piece of work. 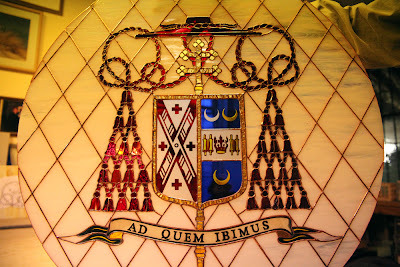 The arms of the diocese (to dexter, or the left side as you are looking at it) are notable for their use of the windmill vanes which are the major element in the arms of New York City (http://www.ngw.nl/int/usa/newyork.htm). The personal arms of the Cardinal are on the sinister side (to the right as you look at it) of the shield. 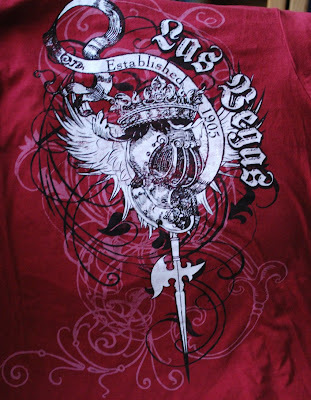 So there I was, strolling through McCarran International Airport in Las Vegas, Nevada, heading home after several days visiting with my mother and my sister, and a somewhat heraldic teeshirt in one of the shops there caught my eye. 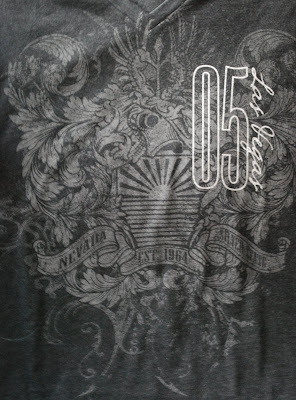 It was black, and had a nicely drawn (and large) white fleur-de-lys on it, outlined with shiny metallic studs and surrounded by some complex line artwork. So I entered the store, and looked for one in my size. Alas, there were none. There were several in smaller sizes, but nothing in my size or larger. They did have a similar shirt done in black and dark gray on a gray shirt in my size, but that one didn’t really appeal to me as much. So I stepped out of the store, with their having lost a really easy sale. Right next door was another shop that was exclusively teeshirts, sweatshirts, and other clothing, so I thought I’d go ahead and see if they had anything heraldic in stock (and in my size). Sure enough, they did. So I came home with not one, but two, heraldic teeshirts added to my collection. The first, this one in red, caught my eye not only because of its bright color, but because of the lines of the helmet and mantling, not to mention the inverted polearm issuing from beneath it. The words “Las Vegas” and date on the scroll refer to the establishment of Las Vegas as a railroad town in 1905. 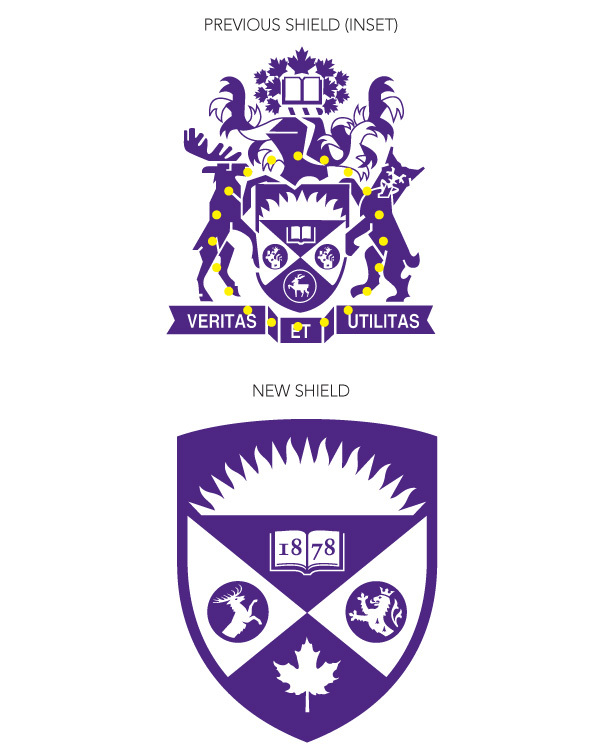 Canada’s Western University in Ontario decided to update its coat of arms and create a more updated logo, a situation that we have seen in many organizations and educational institutions over the years. But in this case, they did it the right way! They got the Canadian Heraldic Authority involved in the process.